Different people have different reasons to reread books. One constant? That contentment of watching the whole world pass by while you sit in the company of your favourite characters. For most of the voracious readers, rearranging their book rack is a dream come true. Dusting the books, going through them again, rereading the favourite lines and unfolding the folded pages — they bring back a bundle of memories mostly reminding you of the journey you once undertook with them. Rereading your favourite novel is almost like visiting your childhood home — every crease, every folded page engrained with memories transporting you to a different time, reminding you of the person you once were. No matter how many stories one reads, there are always some tales that we go back to. The reasons vary. For some they are a reminder of simpler times, for some they are an escape from reality while for others they may be the tales that changed the way they see the world. Different people, different reasons. One constant? That contentment of watching the whole world pass by while you sit in the company of your favourite characters. 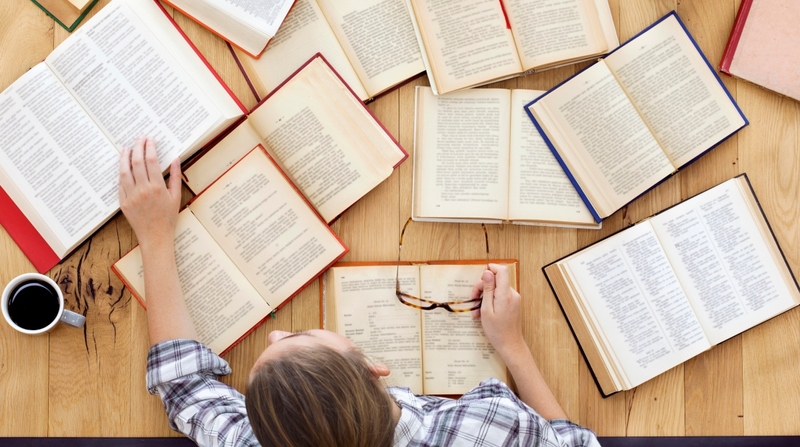 Here are five books that you can reread any time. It’s good to catch up with your favourite characters. They deserve your time too! Why would you want to reread a clearly traumatic book about a guy who tries to destroy an entire generation just because he was not allowed to be with his love? Clearly a complex and traumatised character, most people have trouble expressing their feelings with Heathcliff. You dislike him because (quite frankly) he is a devil incarnate but you also love him for his undying devotion to Catherine. The novel is most remembered for its Gothic setting and its sullen environment. Reread the Wuthering Heights if you want to time-travel to the nineteenth century. Reread the Wuthering Heights for it’s a tale of almost obsessive love that brings ruination. Taslima Nasreen beautifully weaves facts and fiction in this unforgettable tale of a family at a crossroads. Suranjan Dutta, a Bengali Hindu, lives with his family in Dhaka. He considers Bangladesh home but after Babri Masjid is demolished, things change drastically. What begins as a search of a family member becomes a lot more than that. Difficult questions about motherland, family ties, religion are asked with Lajja effectively becoming a book that should become a must read for everyone in today’s time. The Color Purple by Alice Walker follows the life of Celie, an African American woman who goes from being a scared girl repeatedly raped by her father to a confident woman running a business. The novel is a feminist text, illustrating the hardships Celie goes through, finally becoming an independent woman-emotionally and financially. The most beautiful part of the novel is Celie’s relationship with God. It undergoes change with the change in her life. Reread it because it is an extraordinary tale of an ordinary woman trying to make a life for herself. As if we need an excuse to reread this masterpiece! “To Kill a Mockingbird” by Harper Lee is narrated by Scout Finch, a small girl who lives with her brother and father in Maycomb. Raised by her father to read and observe, Scout’s narrates the story in a fascinating way, asking questions that are considered acceptable in our society. The book deals with the theme of racial prejudice along with the ideas we form of people. There is no one specific reason to reread this novel. Read it just because it is a masterpiece. Most Russian classic novels have a tendency to stretch for long. Crime and Punishment is no exception. Raskolnikov, a student, is living in St Petersburg, Russia. In a fit of emotion, he murders two people. He is not charged with murder until the very end. The story follows Raskolnikov as he navigates through his extreme emotions, his guilt, his misery, his fear and eventually his surrender. Despite the length of the novel, the reader will never find a dull moment! Reread Crime and Punishment because it shows what most books do not. A psychological portrayal of the murderer, painting him a human and not a psychopath as we expect him to be.